we just love lace- timelessly beautiful, feminine, and regal. whether it is lace detailing on the bottom hem of a wedding dress, or an elaborate lace-covered gown, a simple scalloped lace trim on a wedding veil or a dramatically ornate lace edged veil- it creates an elegant look for brides that has captured our attention for centuries. many laces are still created using hand-crafted techniques that have been passed down for generations, and the detail and pattern in these laces is truly extraordinary. throughout the 19th and 20th centuries, our favorite leading ladies have wowed us in breathtaking lace-adorned bridal looks for their wedding day. Grace Kelly set a trend that is still going strong, in the magnificent lace look designed by Helen Rose for her 1956 wedding to Prince Rainier of Monaco. Gwen Stefani wore a vintage lace-embellished to complement her stunning pink and white John Galliano-designed dress for her 2002 wedding to Gavin Rossdale. Kate Middleton‘s stunning Alexander McQueen gown and veil were adorned with beautifully delicate lace for her 2011 wedding to Prince William, Duke of Cambridge. 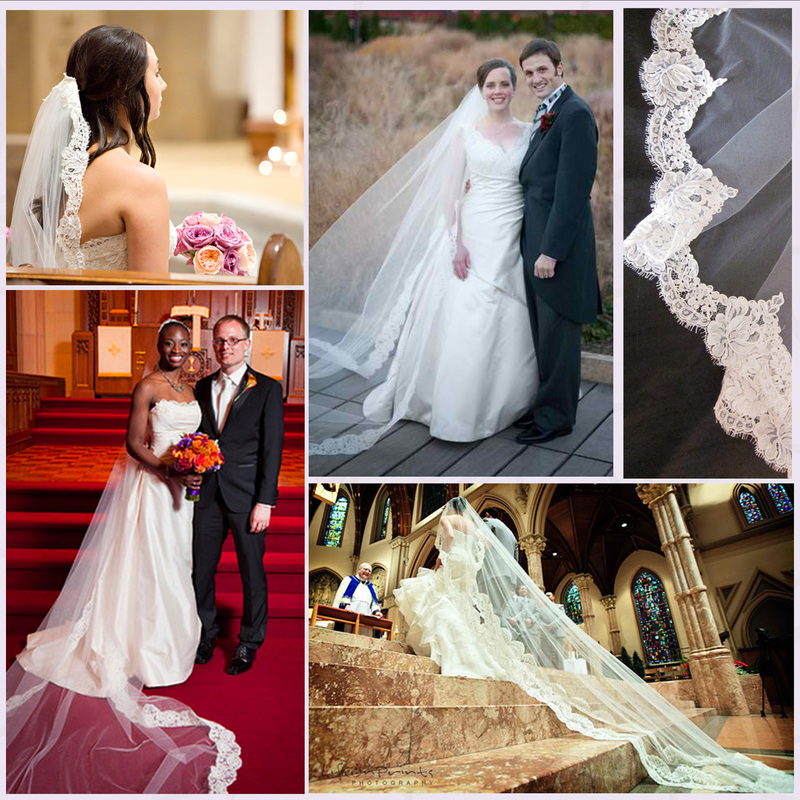 Categories: style spotlight | Tags: alencon lace, grace kelly, gwen stefani, kate middleton, veil, wedding | Permalink. Thanks for sharing these wonderful photos,So happy for all of you. Thank you for sharing these beautiful memories.